Monday didn't go along the way you'd hoped? No problem. Here's how to salvage your week. Tuesday is just a new beginning for you to spend a happy week. Forget about the annoying moments on Monday and move on. 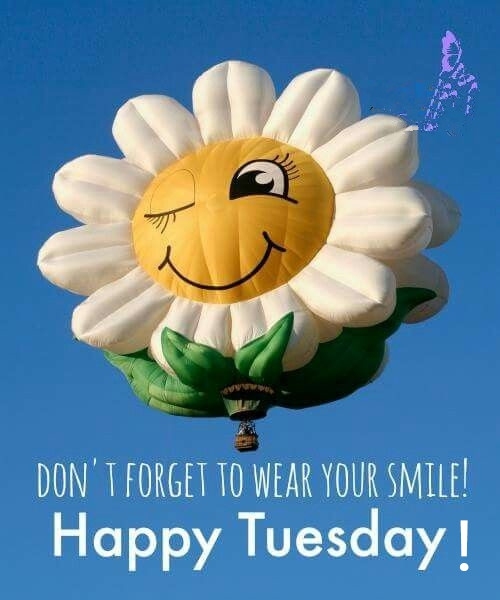 If you wish to know how to spend your Tuesday productively and happily, check our list of happy Tuesday quotes. Be thankful for this Tuesday. Pay attention to your words and spend this day happily. This one is for all of you. Open your eyes - it is a new day. Enjoy each moment of your life. Slow down and live your life well. This is just funny attitude. Share your love with the dearest ones. Put off for tomorrow what you cannot do today! Find your happiness in life. Share your love and happiness. The value of the divine blessing. Enjoy a new day of your life with happy Tuesday quotes. Server responsed at: 04/18/2019 8:38 p.m.